For sale affordable laser cutting machines to buyerOffer 24/7 free one-to-one laser cutting machine service and support. 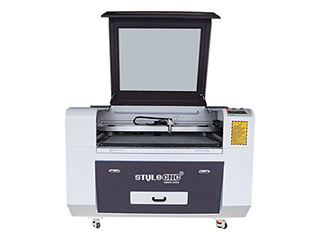 What You Should Know Before Buying an Affordable Laser Cutting Machine? Laser cutting machine is a CNC laser machine that adopts CO2/FIBER laser source to cut metals (steel, copper, brass, aluminum, gold, silver, alloy, iron), acrylic, rubber, wood, plastic, leather, paper, foam, textile, fabric into 2D/3D shapes. 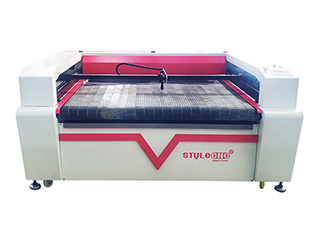 Laser cutting machine is equipped with machine frame, laser generator, laser power supply, reflector path, laser cutting head, control panel, water chiller and CNC (Computer Numerical Controlled) system. Laser cutting machine is also called as laser cutter, laser cutter machine, laser cutting system, laser cutting equipment, laser cutting table, laser cut machine, laser cutting tool. Laser cutting machines are divided into laser metal cutting machines (metal laser cutters), laser wood cutting machines (laser wood cutters), laser fabric cutting machines (laser fabric cutters), laser leather cutting machines (laser leather cutters), laser paper cutting machines (laser paper cutters), laser acrylic cutting machines (laser acrylic cutters), laser plastic cutting machines (laser plastic cutters), laser foam cutting machines (laser foam cutters) according to laser cutting materials. Laser cutting machines are divided into fiber laser cutting machines (fiber laser cutters), CO2 laser cutting machines (CO2 laser cutters) according to laser source. Laser cutting machines are divided into handheld laser cutting machines, mini/small laser cutting machines, portable laser cutting machines, tabletop/desktop laser cutting machines, large format laser cutting machines, 2x4 laser cutting machines, 4x4 laser cutting machines, 4x8 laser cutting machines, 5x10 laser cutting machines according to laser cutting table sizes. Laser cutting machines are divided into home laser cutting machines, hobby laser cutting machines, industrial laser cutting machines according to laser cutting applications. Cutting Materials Metals (Steel, Copper, Aluminum, Gold, Silver, Alloy, Iron, Brass), Wood, Acrylic, Rubber, Plastic, Leather, Paper, Foam, Fabric, Textile. Applications Industrial Manufacturing, School Education, Small Businesses, Home Business, Small Shop, Home Shop, Hobbyists. 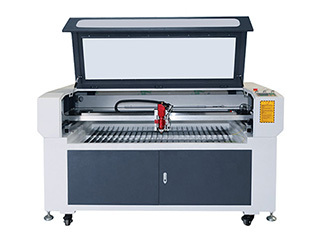 Laser cutters are widely used in Medical Technology, Fablabs/Education, Architectural Models, Smartphones and Laptops, Awards/Trophies, Rubber Stamps Industry, Packaging Design, Signs/Displays Industry, Giveaways, Electronics Industry, Automotive Industry, Signage, Mechanical engineering, Ball bearing, Jewelry Industry, Barcodes serial numbers, Watches, Machining Industry, Dataplates Industry. Fiber laser cutters are mainly used for cutting metal materials (sheet metals, metal tube, 3D curved metals and irregular metals) of carbon steel, stainless steel, aluminum, copper, gold, silver, alloy, iron, brass, etc. CO2 laser cutters are mainly used for cutting thin metal and non-metal materials of wood, acrylic, plastic, leather, fabric, paper, rubber, foam, textile, etc. 1. Laser cutting speed is fast, laser cutting incision is smooth, and no subsequent processing is needed. 2. Laser cutting has small influence on the area, small plate deformation and narrow slit (0.1mm - 0.3mm). 3. Laser cutting incision has no mechanical stress and no shear burr. 4. Laser cutting has high precision, good repeatability and no damage to the surface of the material. 5. 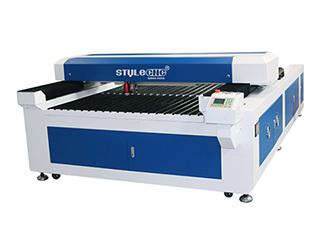 Laser cutting machine adopts CNC (Computer Numerical Control) programming, it can process any plane diagram, and it can cut the large whole plate, without the need to be molded. 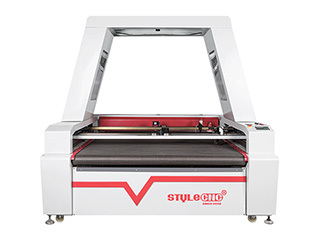 As a guaranteed laser cutting machine manufacturer and supplier, STYLECNC provides all kinds of best laser cutters for sale to fit your works. 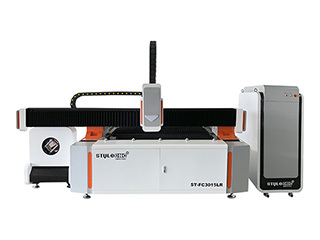 Laser cutting machines from STYLECNC are equipped with genuine laser cutting software, laser cutting system and the best laser machine parts. 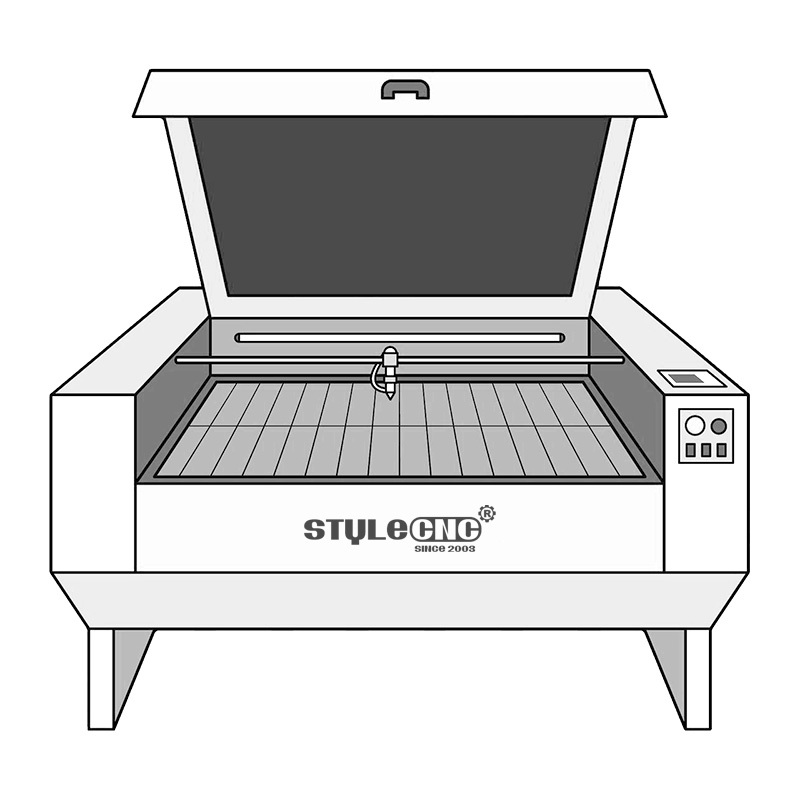 STYLECNC offers ex-factory price for your laser cutting plans without any intermediate. 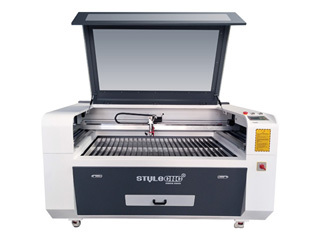 You will get the best laser cutters with the affordable price from us. 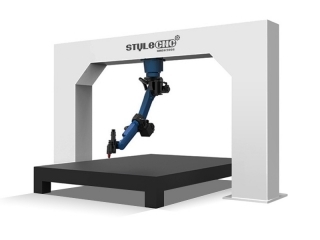 STYLECNC also offers smart 2D/3D laser cutting solutions, 24/7 one-to-one free laser cutting service and support, which is available free. Fiber laser cutting machine is used for cutting metal of steel, aluminum, titanium, alloy, brass, copper, iron with different laser powers (500W, 750W, 1000W, 1500W, 2000W, 3000W, 4000W, 6000W, 8000W). Now the affordable fiber laser cutter for sale with low price, best fiber laser cutting machine service and support. 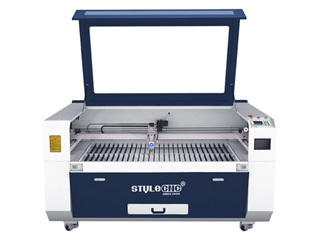 STJ2060F laser tube cutting machine with fiber laser source can cut lines and holes on square/round/rectangular/oval metal tubes and pipes, now the best fiber laser tube cutting machine for sale with affordable laser tube cutter price. 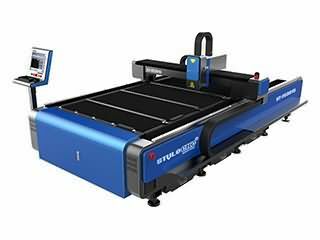 Portable fiber laser metal cutting machine ST-FC6040 is used for metal cutting of steel, titanium, aluminum and copper with 600mm X 400mm table size. The portable fiber laser cutting machine is very suitable for jewelry industry. Now the portable fiber laser cutter for sale with affordable price. 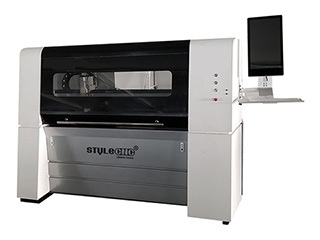 ST-FC1390 high precision small metal laser cutter adopts fully enclosed design, environmental friendly in all kinds of metal cutting, especially in small business of metal signs, metal tags, metal logos, metal letters and metal jewelry, now the small metal laser cutter for sale with affordable price. 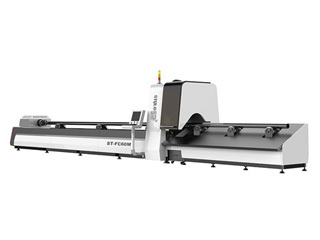 1000 watts fiber laser metal pipe/tube cutting machine ST-FC3015LR can cut metal pipes, metal tubes and sheet metal, metal tube cutting and metal sheet cutting all in one. Now the fiber laser metal cutting machine for sale with best price. 1000W/2000W/3000W Fiber Laser Cutter is used for cutting Metal Signs, Metal Signage, Metal Letters, Kitchen Ware, Metal Logos, Sheet Metal Processing, Metal Components and Parts, etc. 3D robotic laser cutting machine with fiber laser source is equipped with industrial robot from ABB for flexible 3D dynamic metal cutting of multi-dimensional and multi-angle. 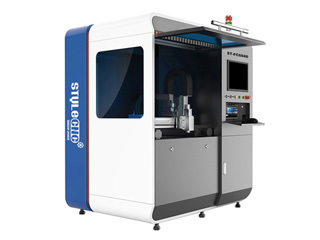 The 3D metal laser cutter with robotic arm is widely used in 3D curved metal parts, metal tubes, auto parts, kitchenware, electronic components. Now the best 3D laser cutting machine for sale with affordable price. 100W CO2 laser wood cutting machine is used to cut wood (hardwood, softwood, solid wood, plywood, MDF) as arts, crafts, gifts, logos, letters, signs. Now the affordable laser wood cutter for sale with best price, free laser wood cutting machine service and support. The Best CO2 laser cutter is suitable for the best engraving and cutting of acrylic, wood, rubber, plastic, glass, leather, etc. Now the best CO2 laser cutter for sale with low price. Laser fabric cutter with automatic feeding system is suitable for cutting performance in garment, fabric, leather, cloth, etc. 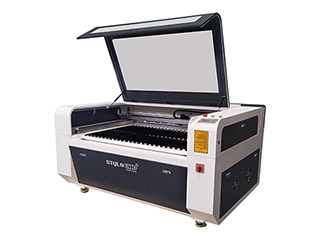 now the fabric laser cutter for sale with best price. Four heads laser textile cutting machine is equipped with auto feeding system and open stainless meshed worktable, which is suitable for textile cutting, fabric cutting, clothing cutting, leather cutting, etc. 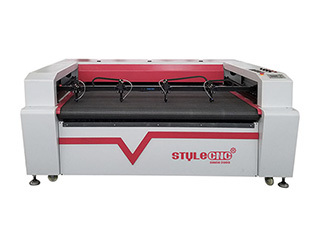 Textile laser cutting machine is also used to cut car pillow, cushion, mat, car/automobile/automotive seat cover, steering wheel cover, dash board cover, automotive sunshade, clazzio leather seat cover and other car interior products. Metal and nonmetal laser cutting machine 300W is a new design laser machine for cutting thin metal and non metal materials, such as stainless steel, alloy, acrylic, MDF, wood, etc. STJ1610M Mixed metal and nonmetal laser cutting machine adopts CO2 sealed laser tube, which can cut nonmetal and metal materials of 0.5mm - 2mm. Mixed laser cutter is designed for cutting thick nonmetal materials and thin metal materials, such as acrylic, MDF, die board, 2mm stainless steel with perfect cutting effect and high cutting speed. CNC metal cutter with mixed laser cutting head can up and down according to the metal and nonmetal materials surface, which is one mixed metal and nonmetal laser cutter. 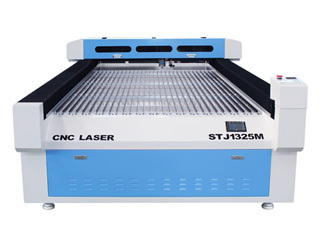 STJ1390M CO2 laser cutter with 280W Yongli combined beam laser tube, which can cut up to 3mm stainless steel, 4mm carbon steel, 30mm acrylic, 25mm wood, etc. 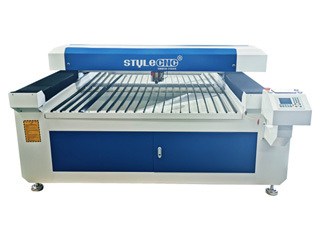 Multi-function 4x8ft laser cutter/laser engraver is used for engraving and cutting metal and nonmetal materials, such as stainless steel, galvanized sheet, acrylic, MDF, solid wood, die board, etc. 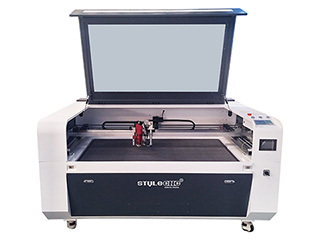 Now the multi-function 4x8ft laser cutter/laser engraver for sale with affordable price. I bought the laser fabric cutter for sportswear pattern cutting, its cutting ability is out of my imagination, I really like it. I bought the 3d laser cutting machine for auto parts cutting, I'm very satisfied with the cutting speed and precision, I will be happy to recommend the laser machine to my partners. 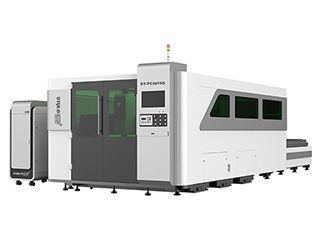 Perfect fiber laser cutter for metal, I have been doing research in this market for a long time, STYLECNC has attracted me, both the machine's quality and the service, are first-class. Now my showroom is filled with metal crafts made by this laser machine. I LOVE THIS MACHINE. I LOVE STYLECNC. We bought the machine for wood and MDF cutting, the cutting effect is very good,cutting speed is also very quick. i like STYLECNC laser cutter. highly recommended! STYLECNC is a good and serious factory, I visit it twice a year, they treat me like family. So I choose them to make fiber laser cutter for metal pipes. 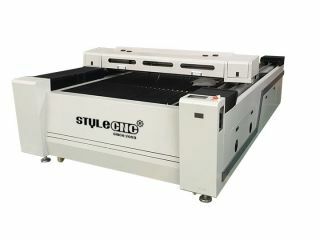 This machine were delivered on schedule, I got gorgeous support from STYLECNC. I already have a CNC plasma machine, but I was always want to purchase a fiber laser cutter as a update. This machine has not let me down at all. Perfect cutting speed and smooth cutting edge deserve a 5 star. I'm a craftsman, with this machine, we made a lot of crafts, and this STJ1325-4 laser cutting machine is very good at the edge of the crafts. Perfect laser cutting machine. A good CNC laser cutter for metal. Because I want to cut different type of materials and this machine combines two options together which is exactly what I need. BEST metal laser cutter we have ever purchased. For 10 hours daily working, it still keeps the high precision and the high working speed. I really love it.